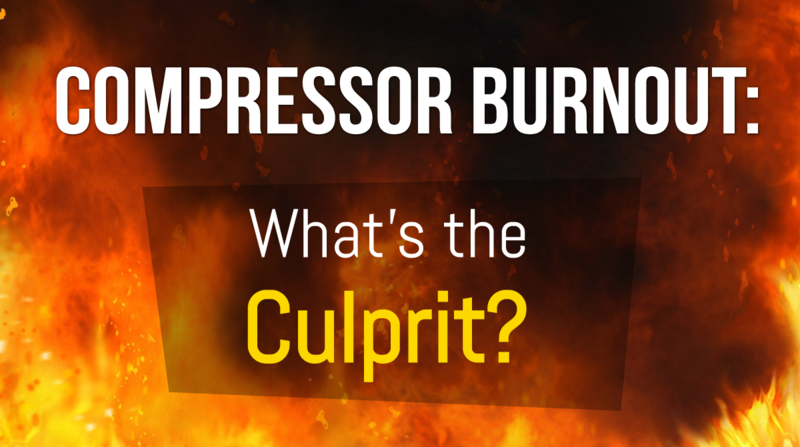 Compressor failure can be traced back to many different issues. Motor burnout is one of them. Also referred to as compressor burnout, motor burnout is a specific type of failure that typically results from high temperatures in motor windings. Temperatures that exceed the maximum allowable limits of insulation classes will accelerate winding insulation degradation. Insufficient insulation between motor windings often leads to short circuits and motor burnout. Improper cooling – Three conditions that could lead to motor overheating include: starting the motor at a wrong current value; continuously running a motor which is rated for intermittent duty applications at or below its duty cycle; and operating the motor in high ambient temperatures. For internal compressor motors, high ambient temperatures usually result from the compressor overheating. Some common causes of compressor overheating are lack of external cooling, poor ventilation, short cycling, low suction pressure, high head pressure, lack of lubrication, excessive wear and tear, and electrical problems. If any of these factors prevent the motor from cooling down properly between cycles, it will become increasingly hotter with each cycle. Excessive friction – Excessive friction between components often results from a combination of misalignment and vibration. Although all electric motors produce vibration as they rotate, a motor that becomes misaligned can generate a higher level of vibration. This may precipitate a series of mechanical issues, including bearing degradation, bolt breakage, and wear and tear of coupling blocks. 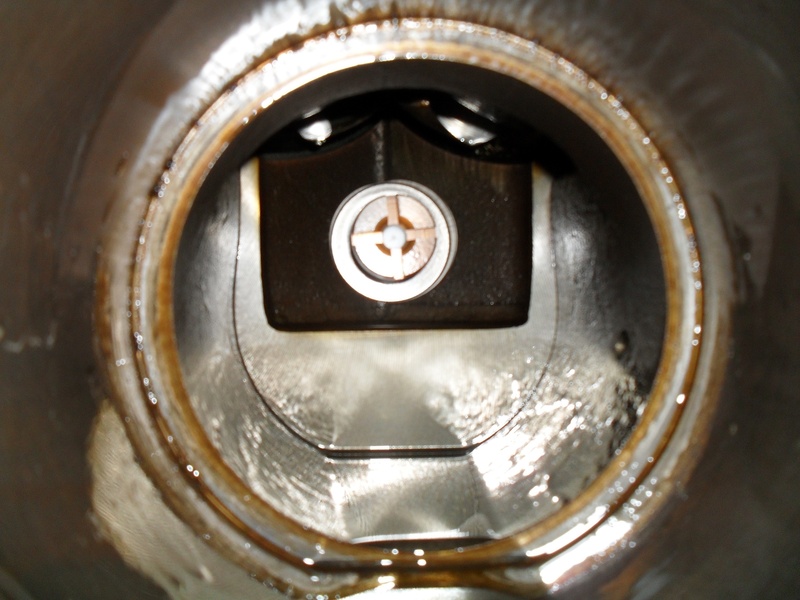 Components that are beginning to wear can cause excessive friction, which will place extra load on the motor. Besides decreasing the motor’s efficiency, that extra load will cause the motor to draw excessive current and overheat. Incorrect motor size for the application – A compressor motor should be properly sized for the duty cycle it will be performing in each application. If a motor is too small, it won’t be able to dissipate heat quickly enough. This will cause it to overheat. Conversely, an oversized motor will run at a lower torque point. As a result, it will draw more power, which decreases its efficiency and increases the risk of overheating. To make sure that a specific motor is right for an application it’s essential to match the motor output rating to the load expected. Electrical Overload – Electrical overload conditions can be caused by short circuited conductors, a high voltage supply, or a low voltage supply which causes the motor to draw in more current in order to maintain its torque. As the motor is forced to draw in more current than its windings can carry efficiently and safely, overload conditions can lead to the motor overheating and damage to winding insulation. Short Cycling – Short cycling occurs when a compressor motor turns on and off repeatedly. Since a motor draws more current during starting than when it’s operating, short cycling can increase energy consumption. As well, starting a motor before it has a chance to dissipate the heat buildup from starting will further increase its temperature. Short cycling may also lead to more starts per hour than the maximum limit recommended by the manufacturer. All these can significantly shorten the lifespan of your compressor motor. Electrical problems – Electrical problems such as surge voltages, phase loss, and voltage unbalance are unpredictable events that usually happen suddenly and have a great impact on compressor motors, potentially causing overheating. A few other causes of compressor motor burnout include low insulation resistance, moisture in the surrounding environment, improper lubrication, corrosion inside the motor, and loose mechanical and electrical connections. The easiest way to ensure that your compressor motor operates correctly and prevent the problems outlined above is to have your HVAC/R systems serviced regularly by qualified technicians. Licensed professionals can easily identify and fix HVAC/R system problems before they destroy important components. HVAC/R compressors can also be equipped with motor protection modules, which not only prevent motor damage but also ensure optimal efficiency and minimal interruption.